What goes into the best Cabernet Sauvignon blends? That’s the question asked recently on the popular website Wine Folly. 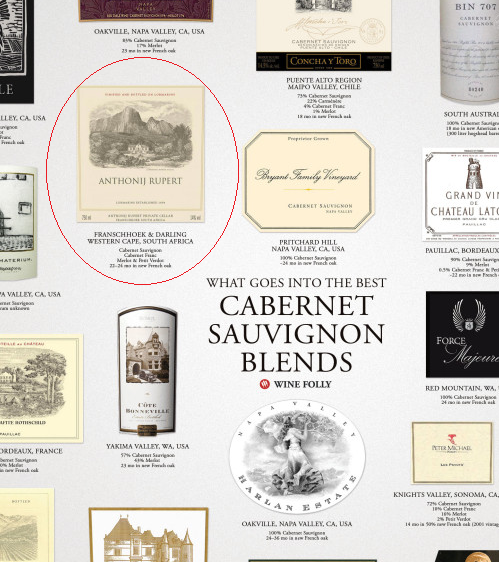 In search of answers, site author Madeline Puckette focuses in on 21 “Top Cabernet Sauvignon Brands” – including those from Anthonij Rupert. In addition to a 100 percent Cabernet Sauvignon, the Anthonij Rupert U.S. portfolio includes the Red Blend with a Cabernet Sauvignon component, as well as the Bordeaux blend Optima. See the whole chart and the article here on Wine Folly.